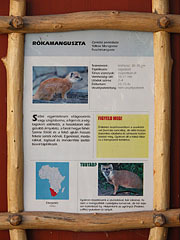 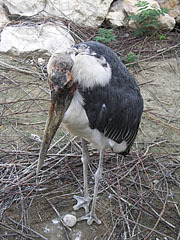 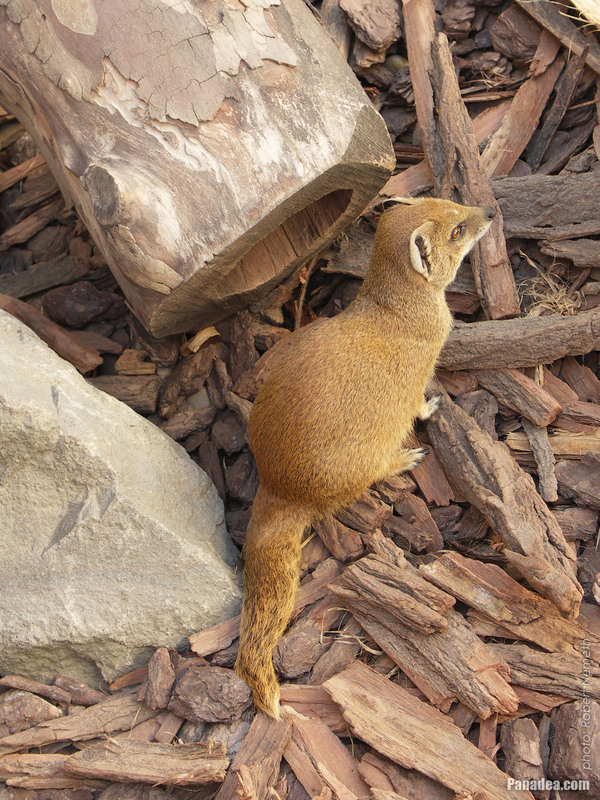 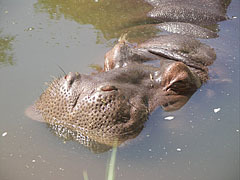 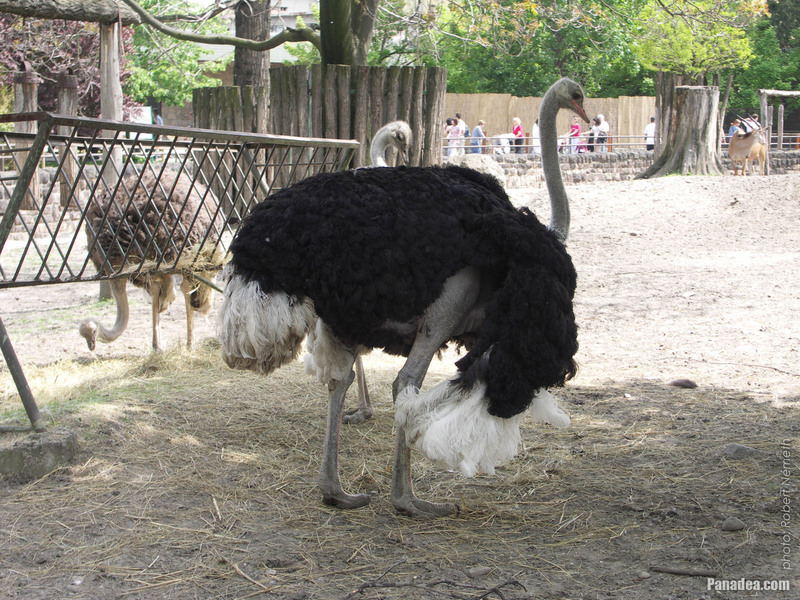 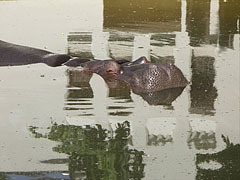 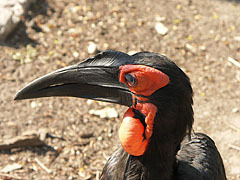 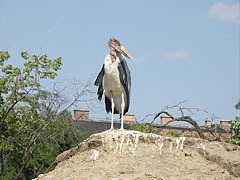 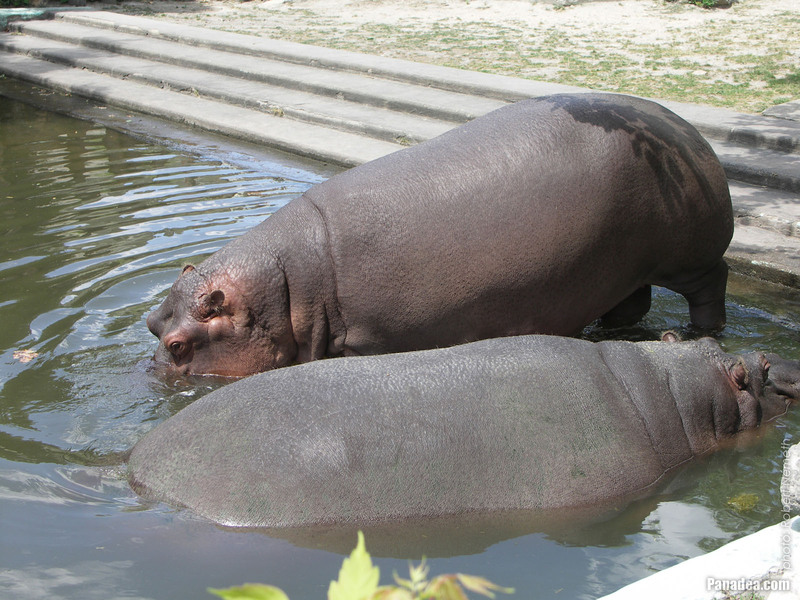 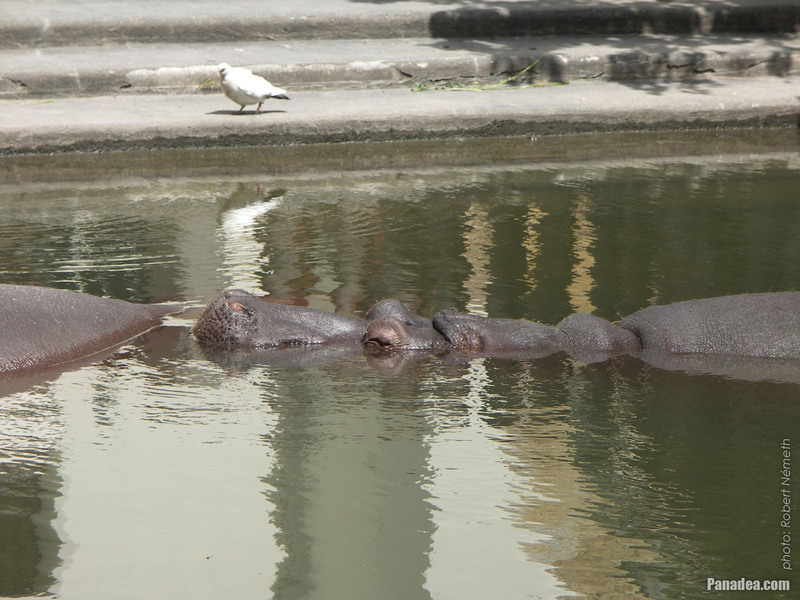 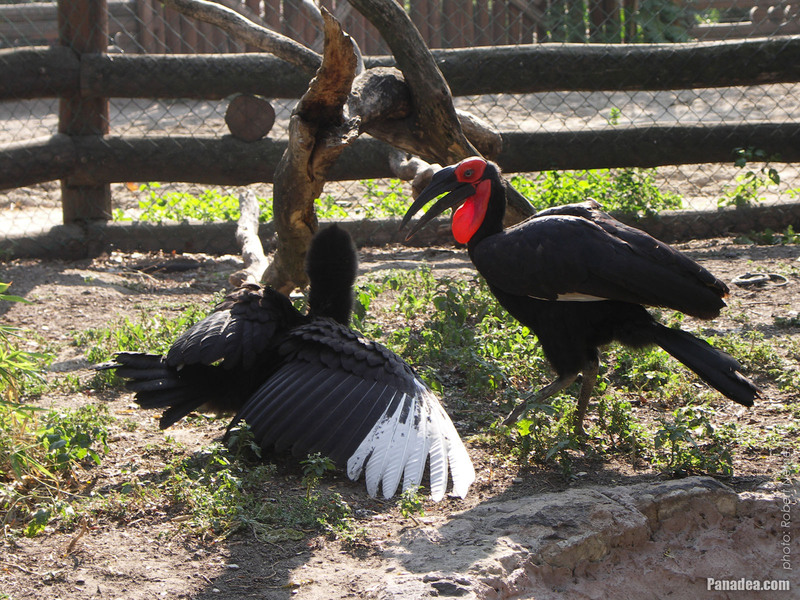 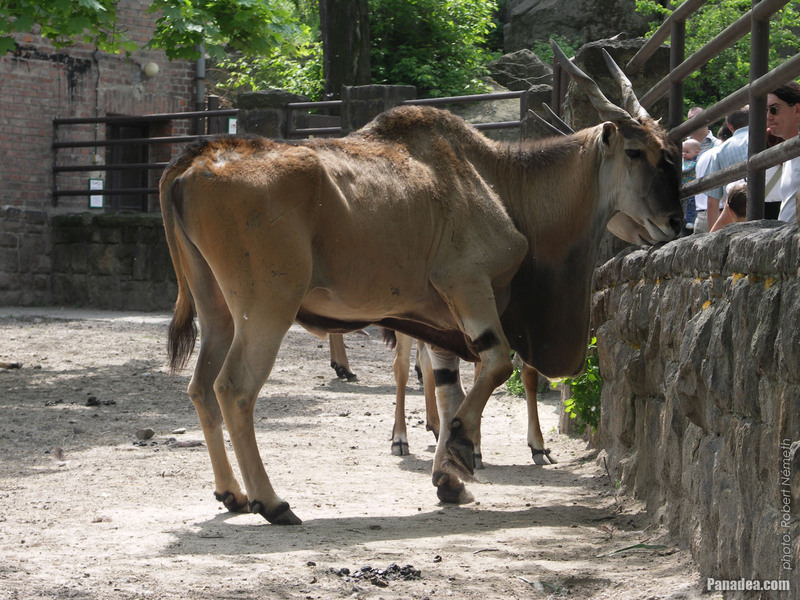 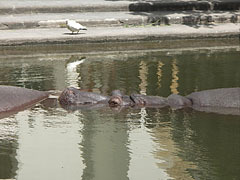 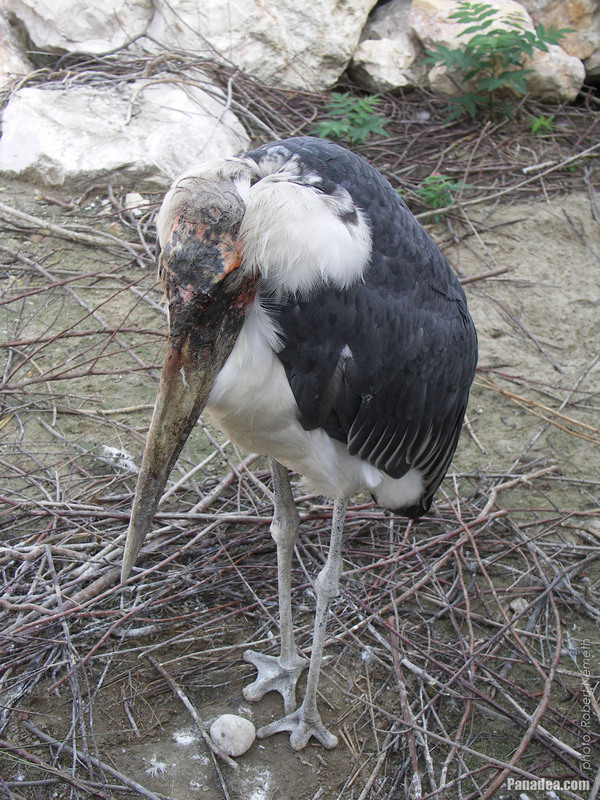 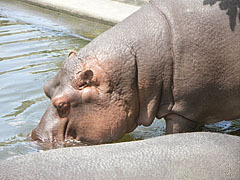 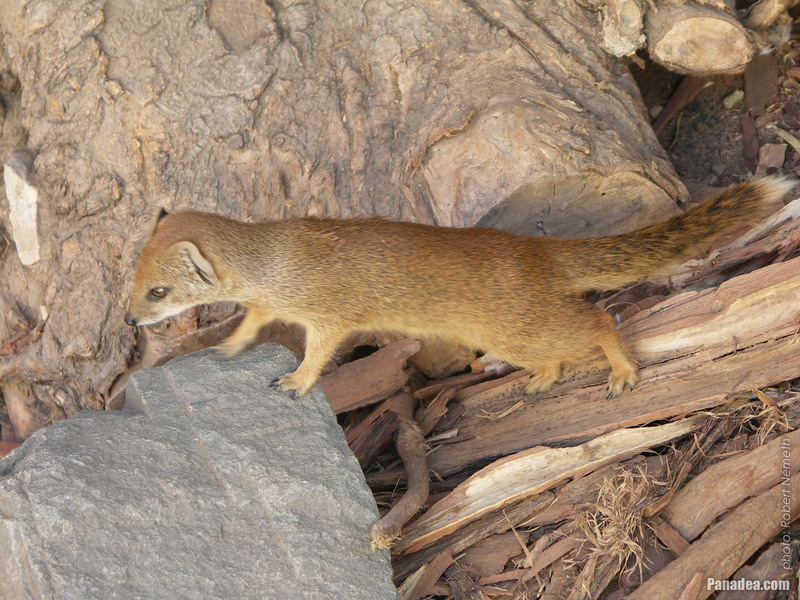 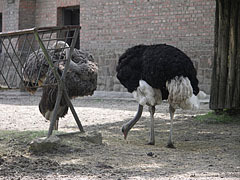 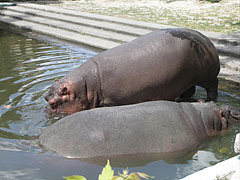 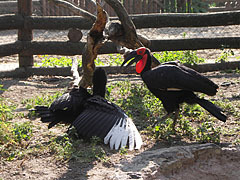 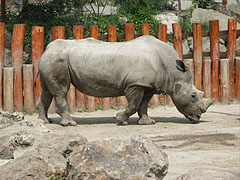 This animal is native to West and Central Africa. 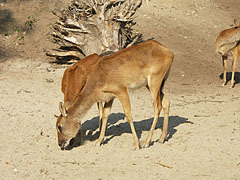 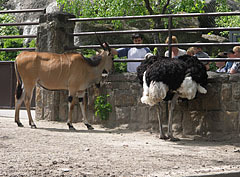 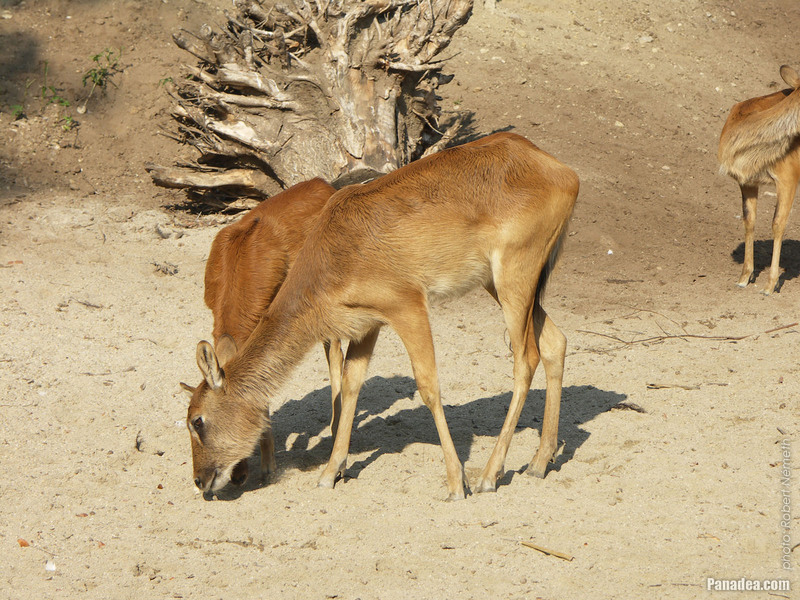 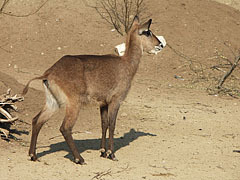 It is a subspecies of the waterbuck (Kobus ellipsiprymnus), but sometimes considered to be a separate species. 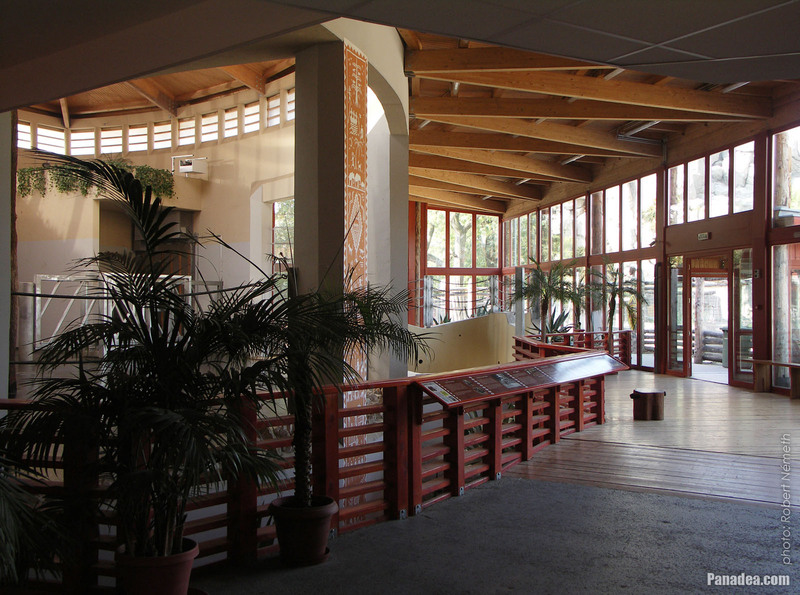 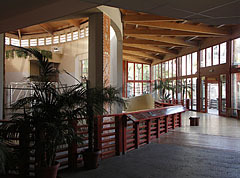 The building was constructed in 1963. 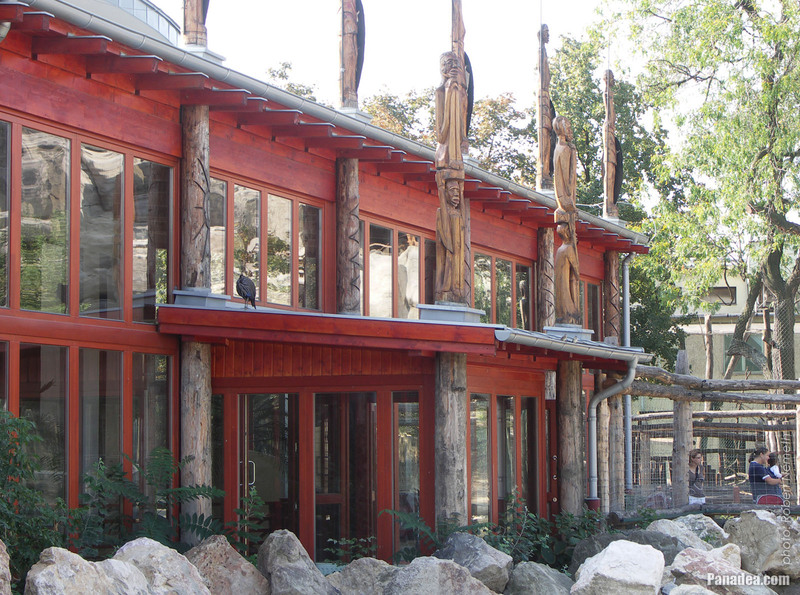 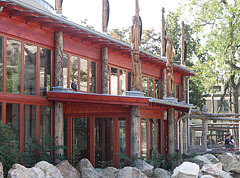 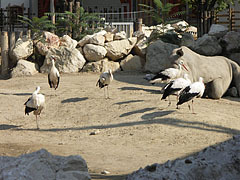 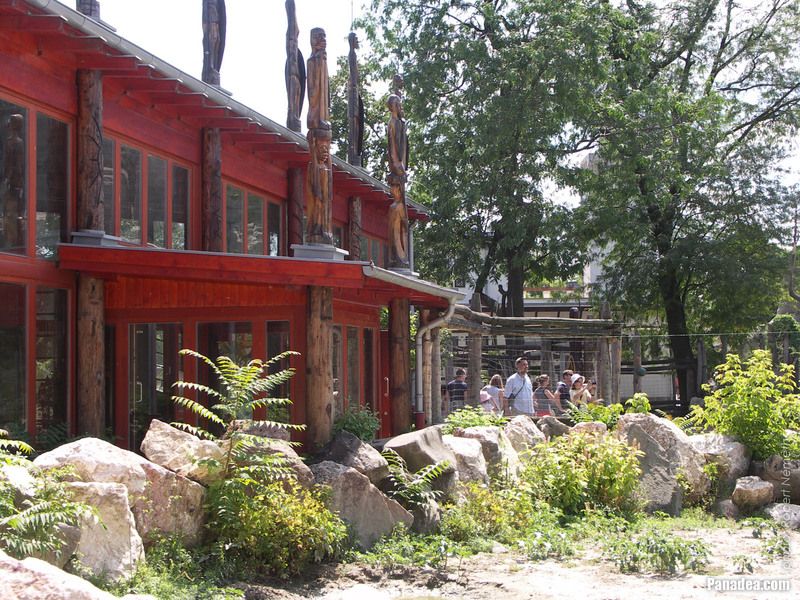 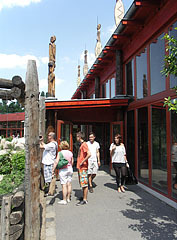 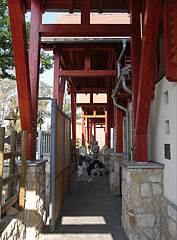 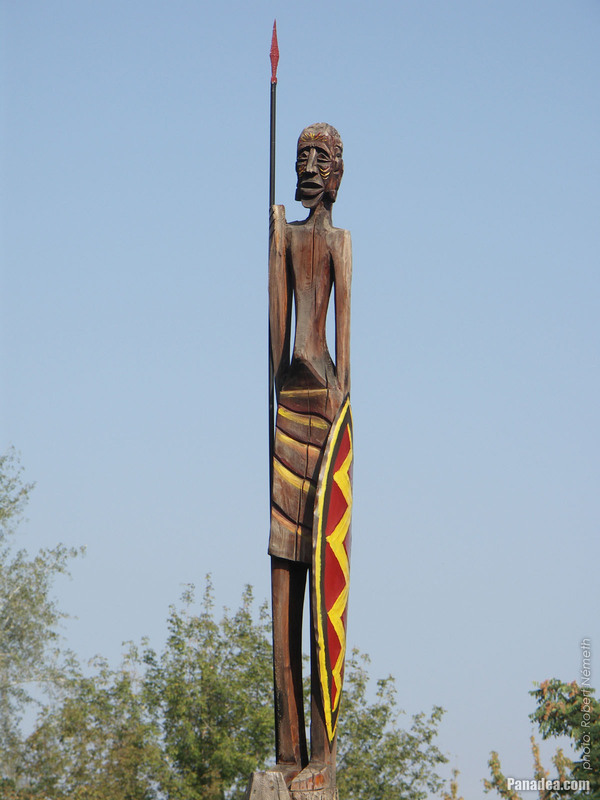 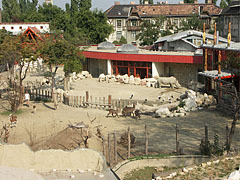 In 2010 it was demolished except the foundations, what was re-used for the new Buffalo House. 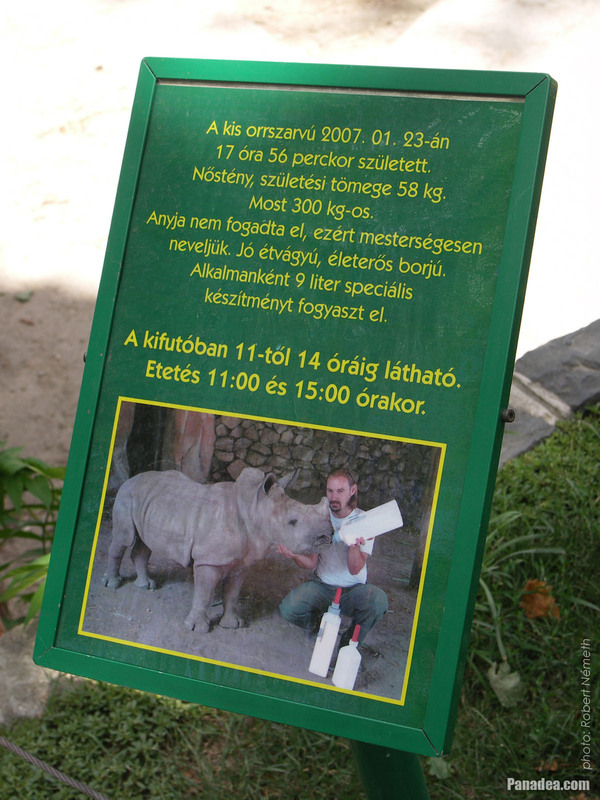 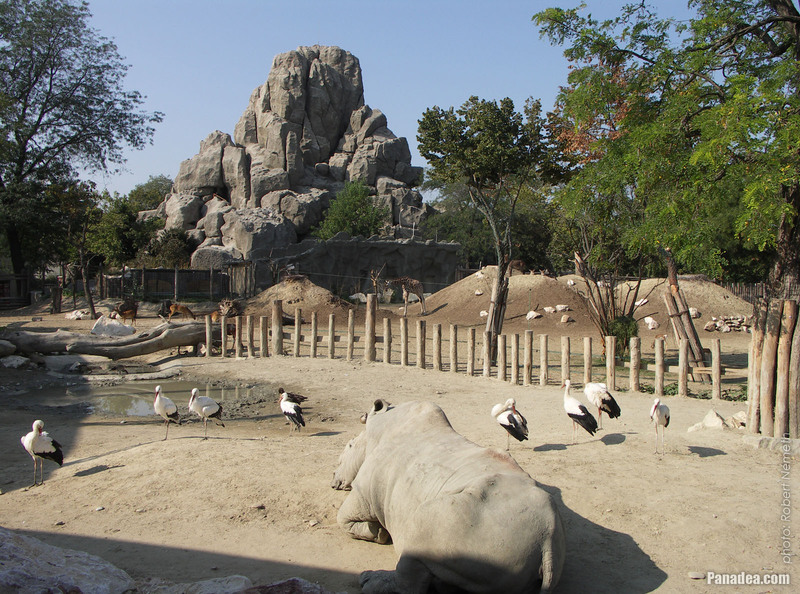 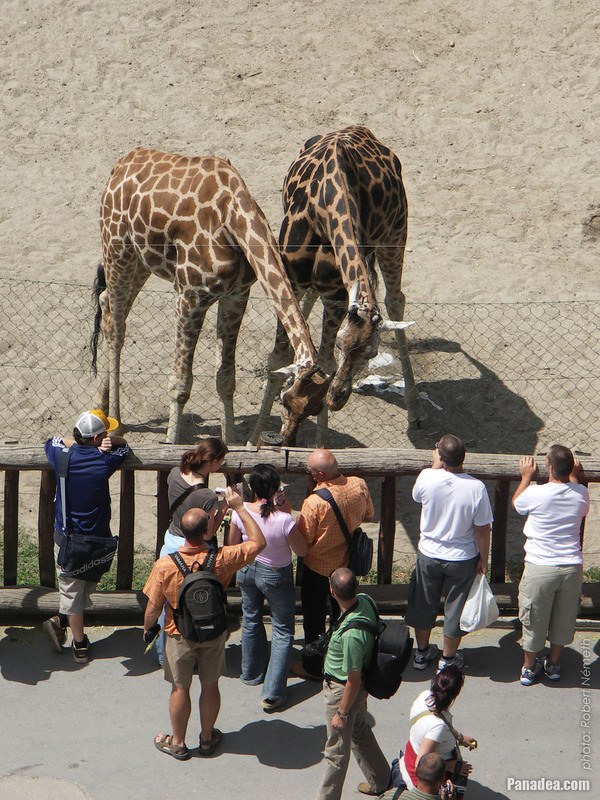 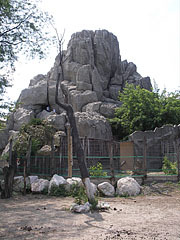 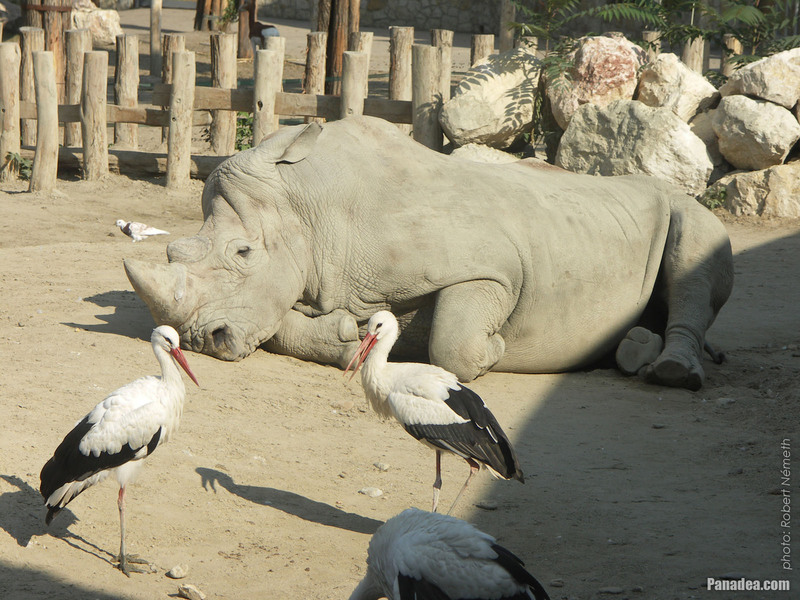 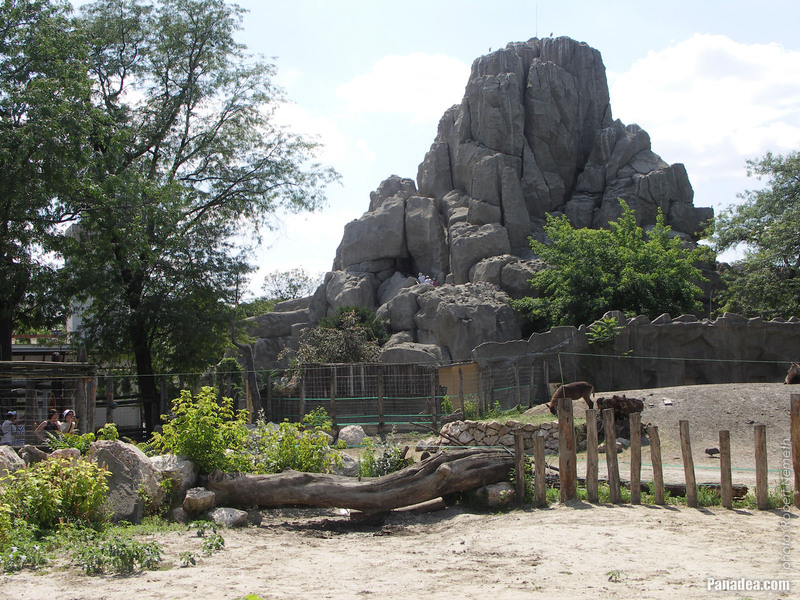 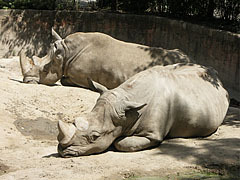 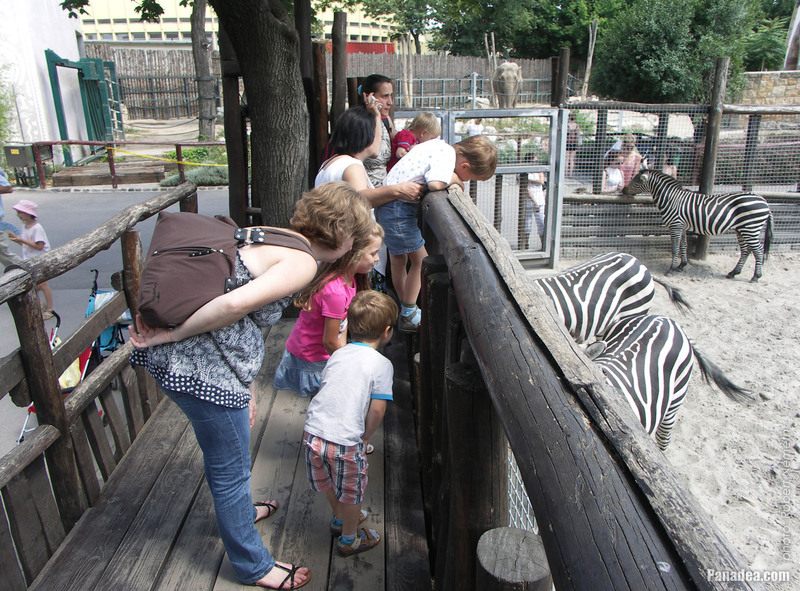 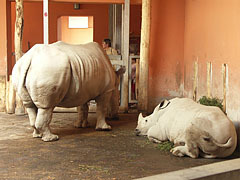 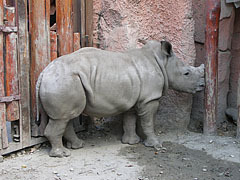 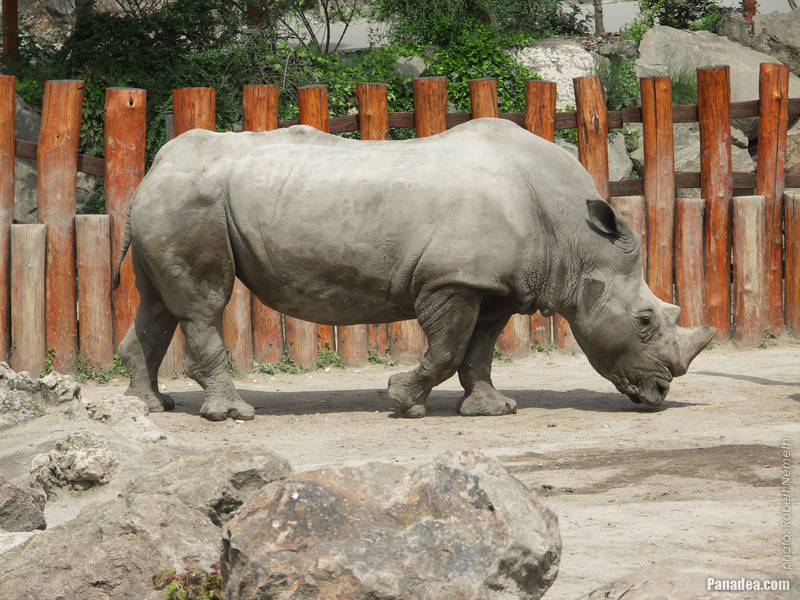 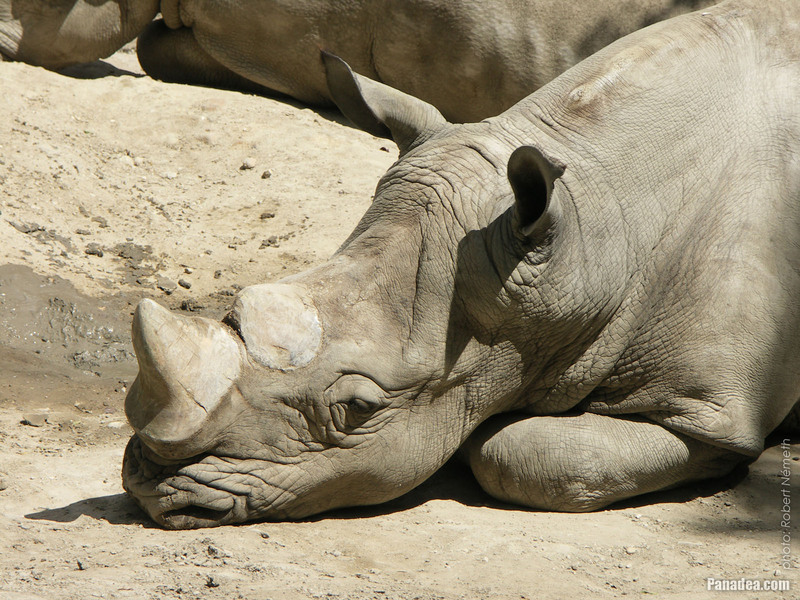 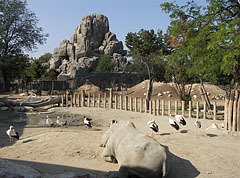 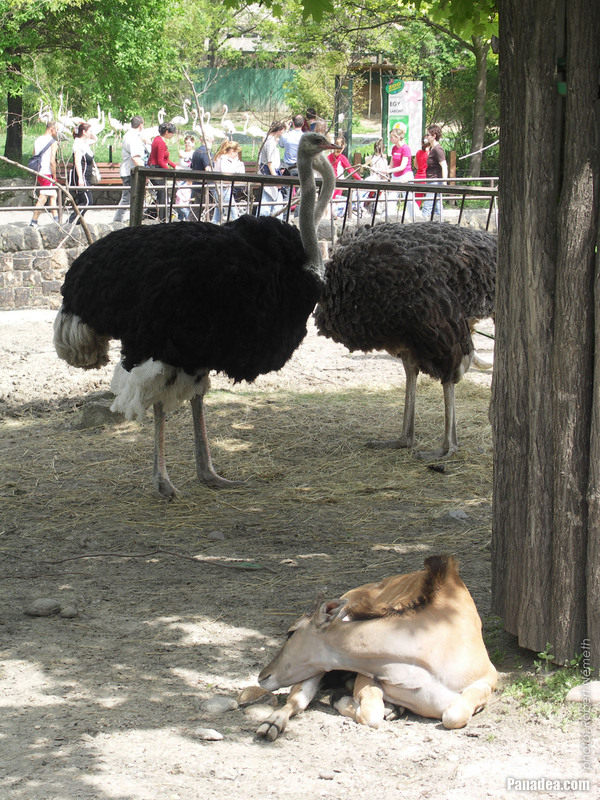 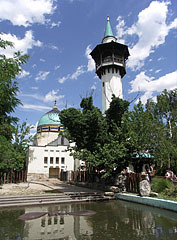 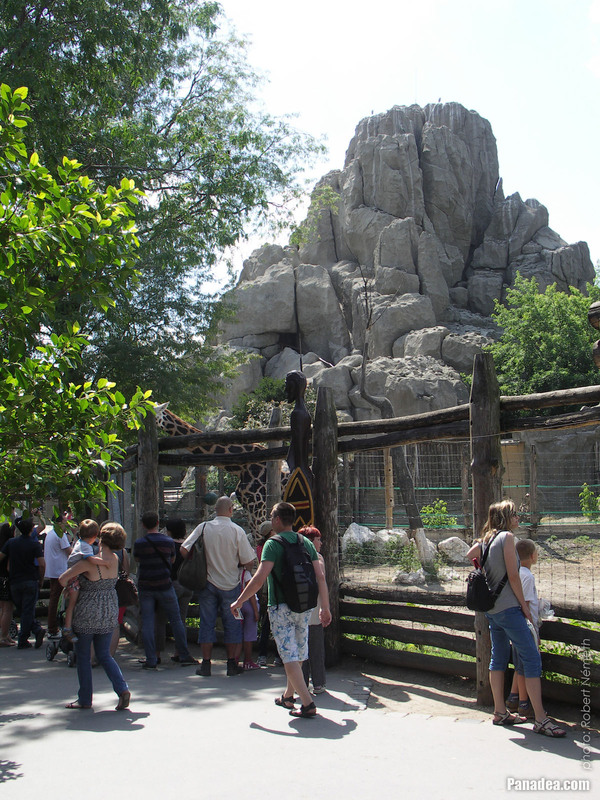 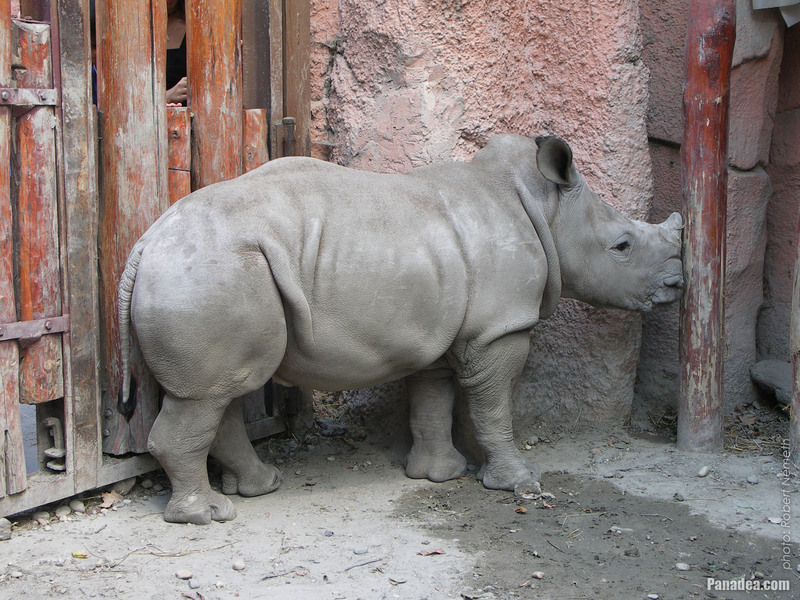 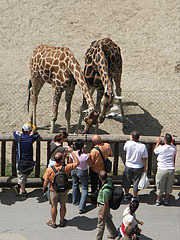 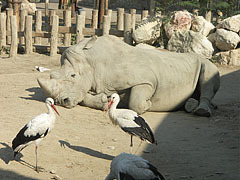 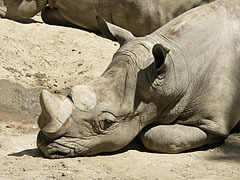 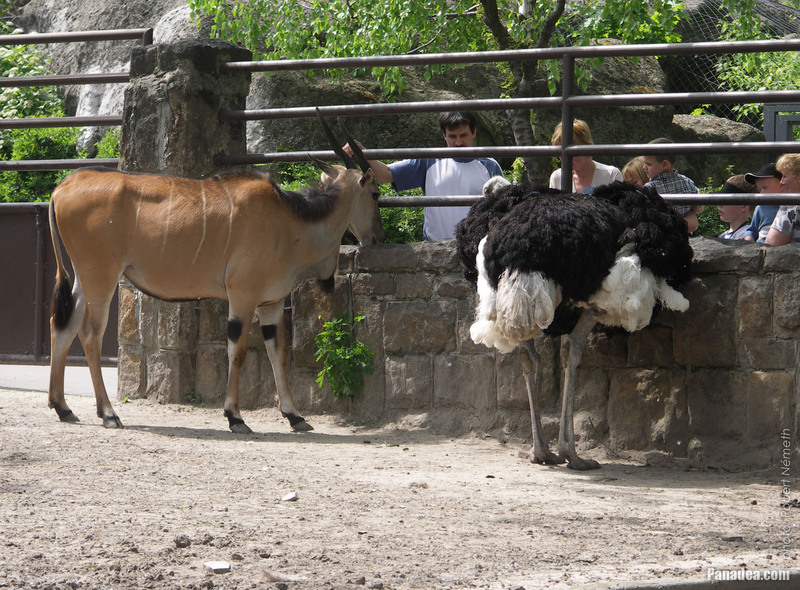 At the time when the picture was taken there were rhinos in its enclosure. 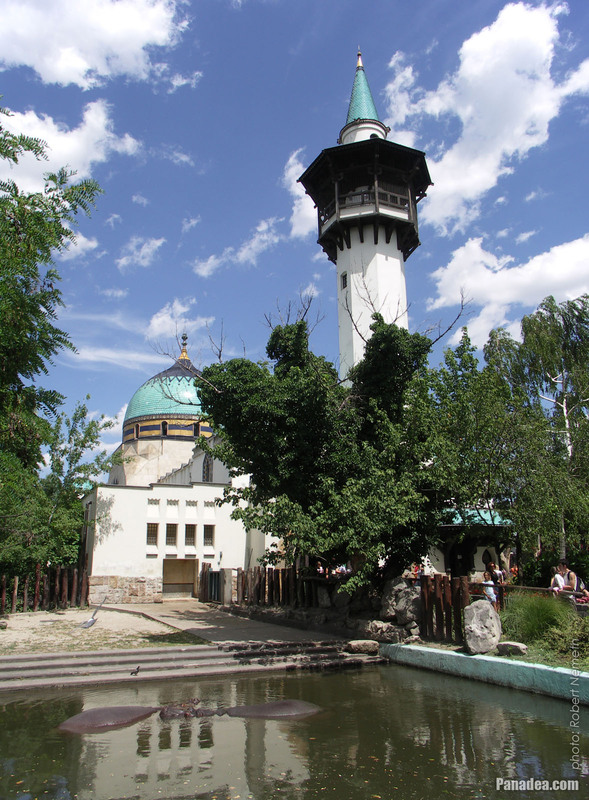 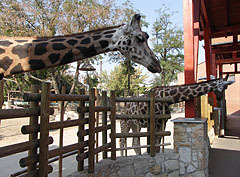 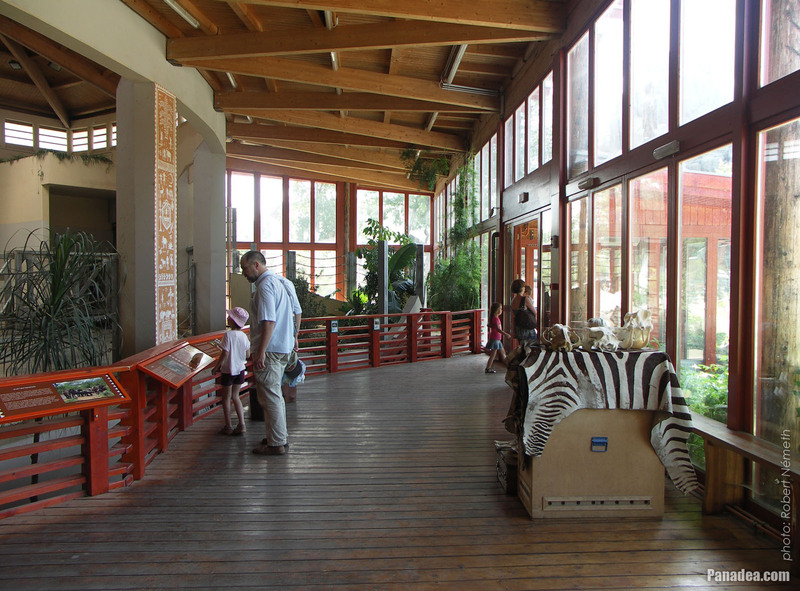 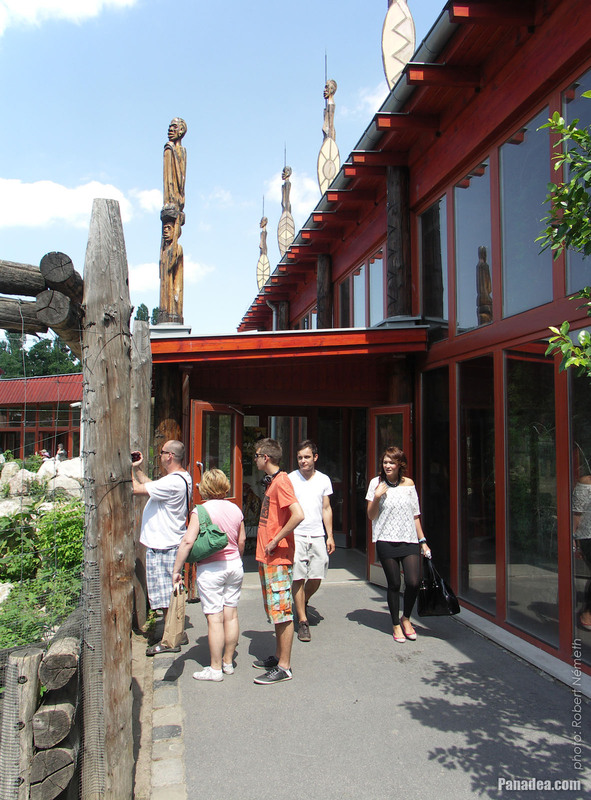 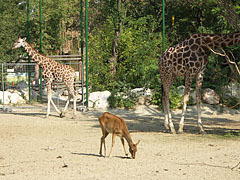 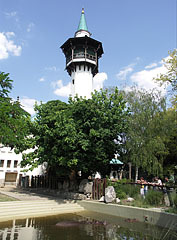 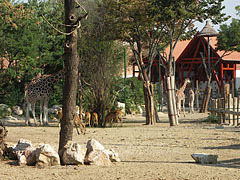 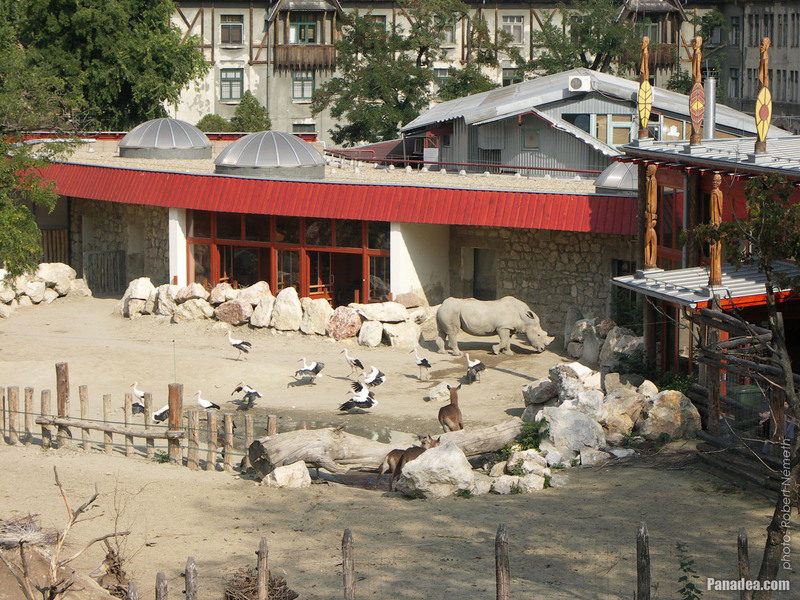 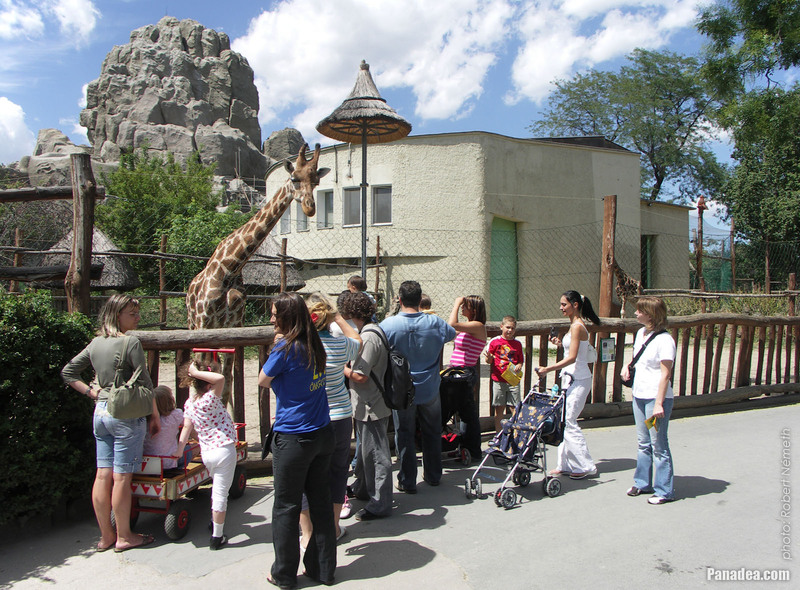 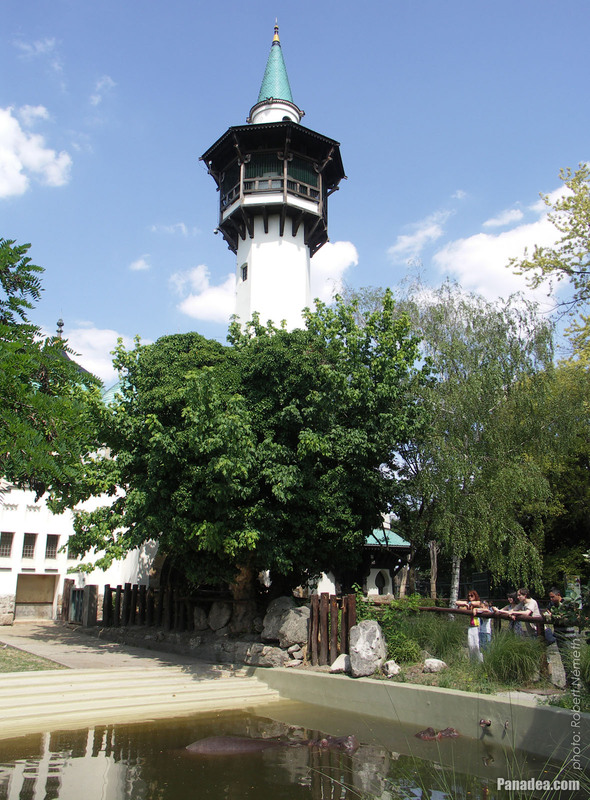 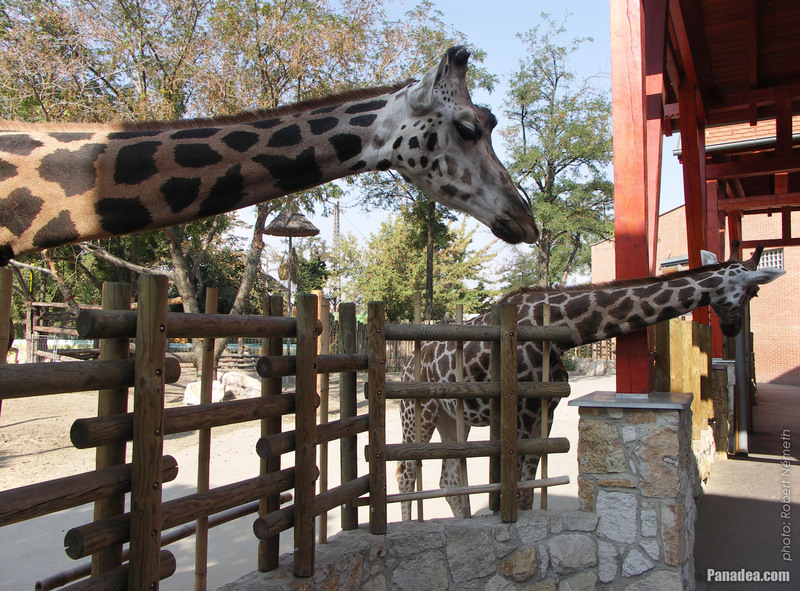 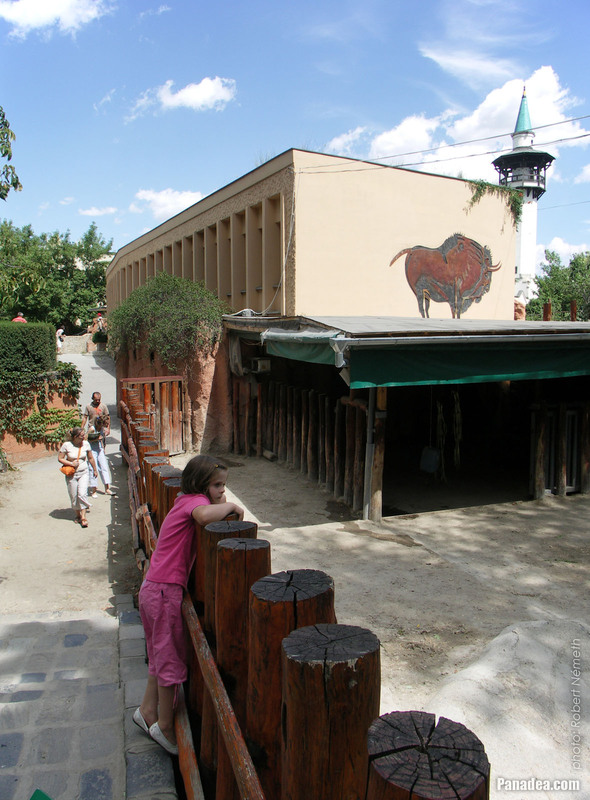 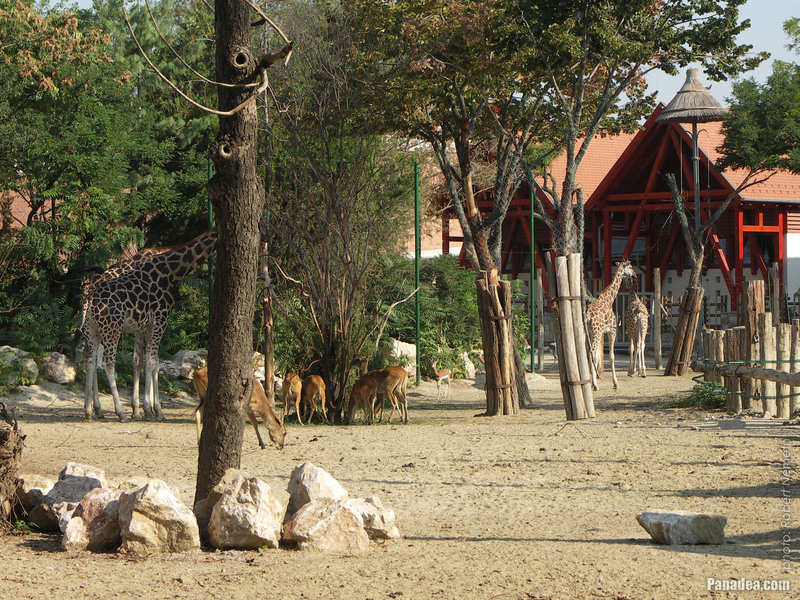 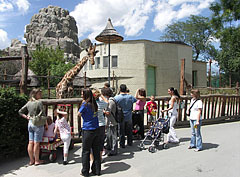 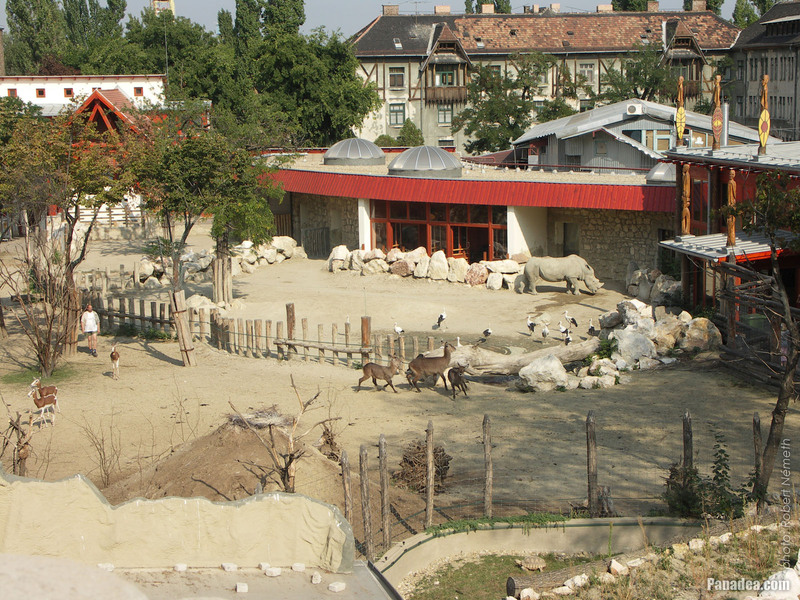 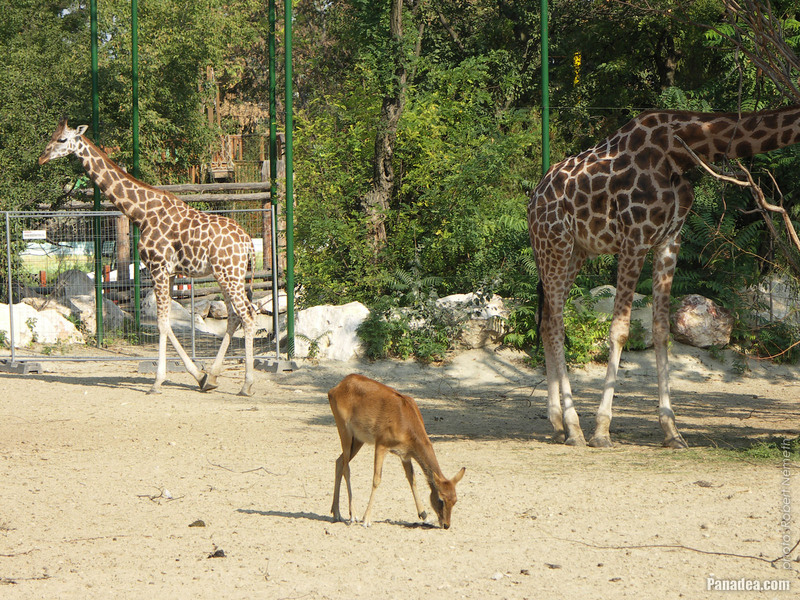 This former Giraffe House was designed by Gyula Kéri and Ferenc Bognár and built in 1965. 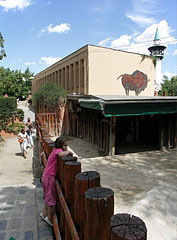 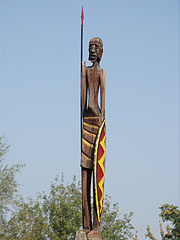 In 2010 it was demolished. 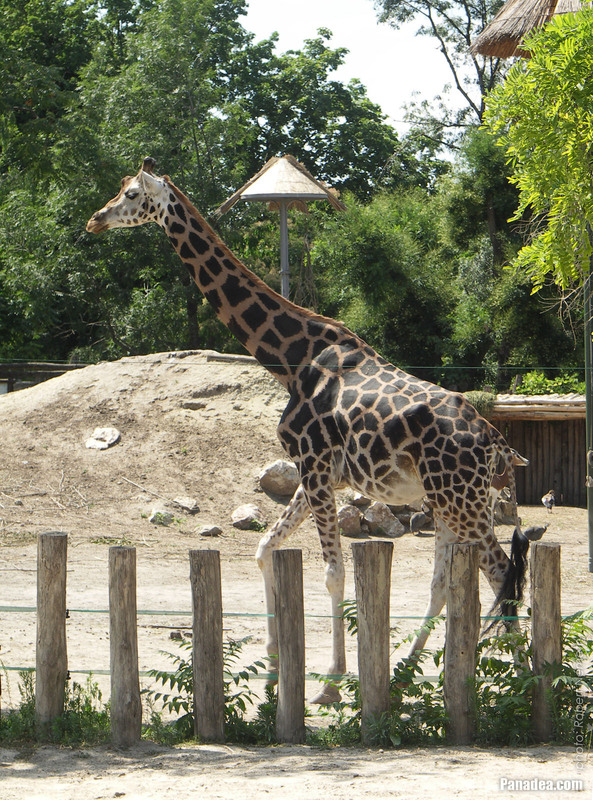 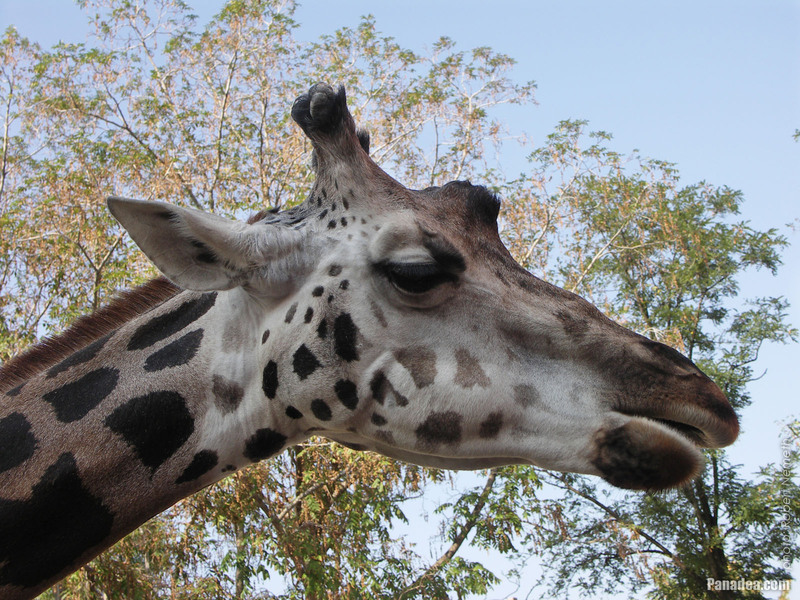 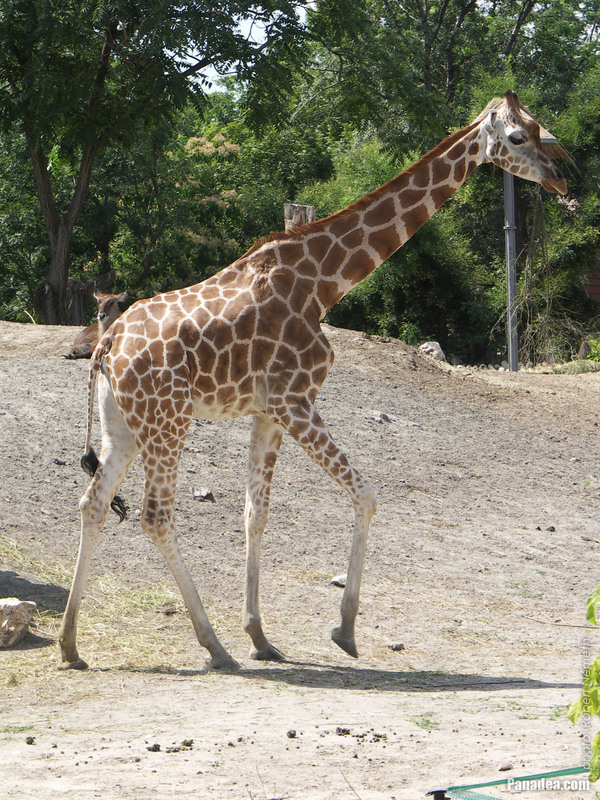 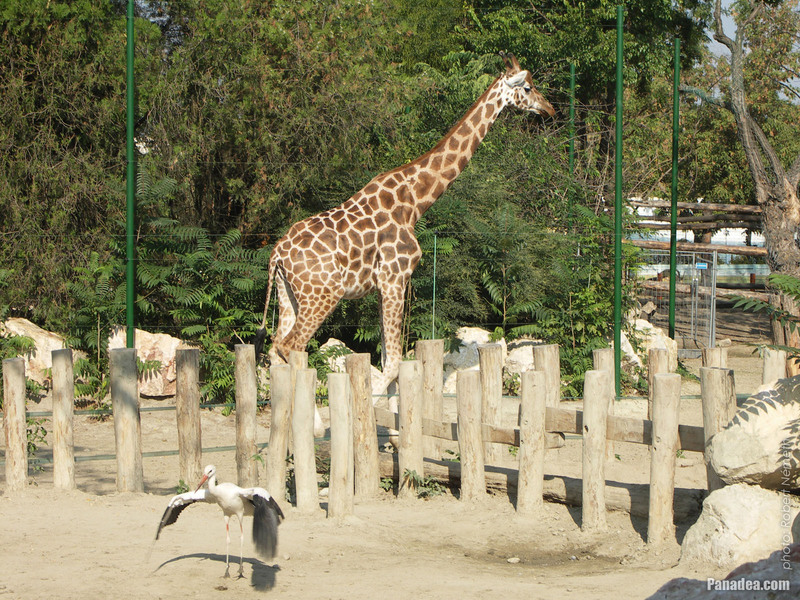 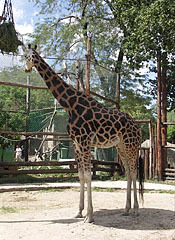 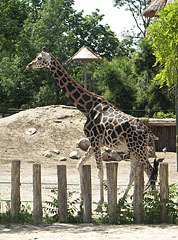 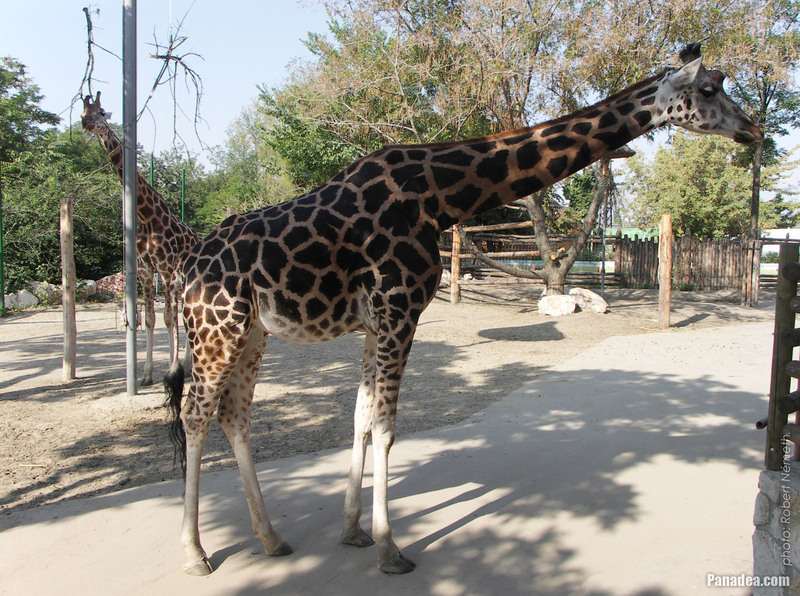 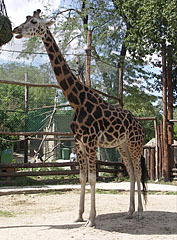 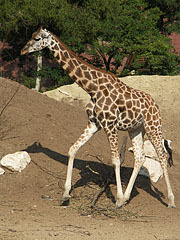 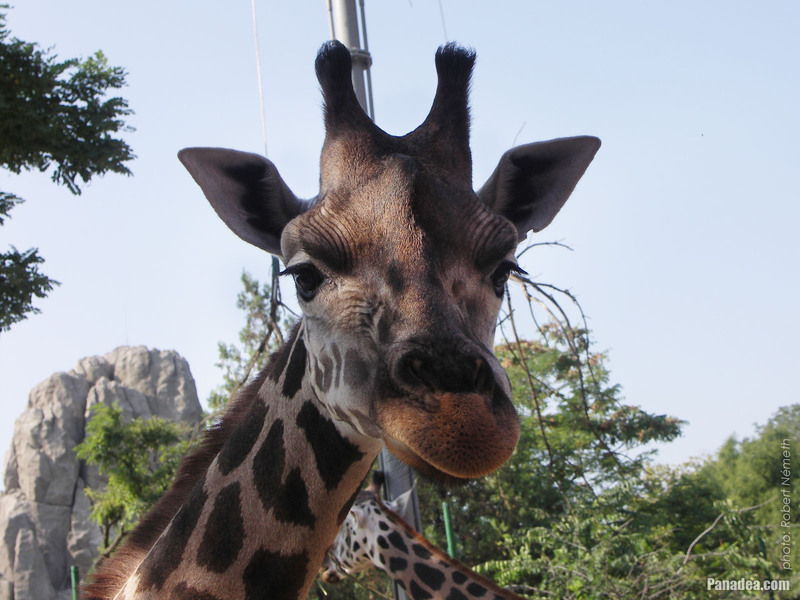 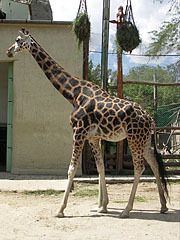 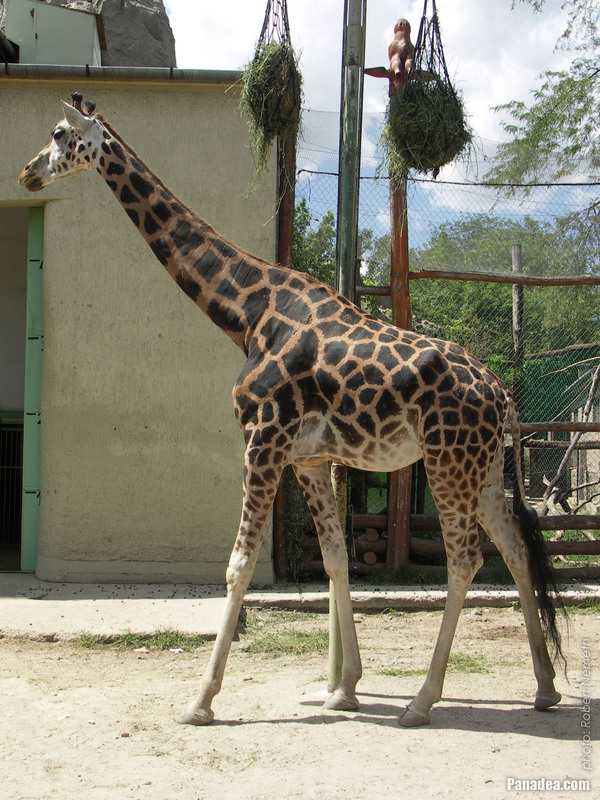 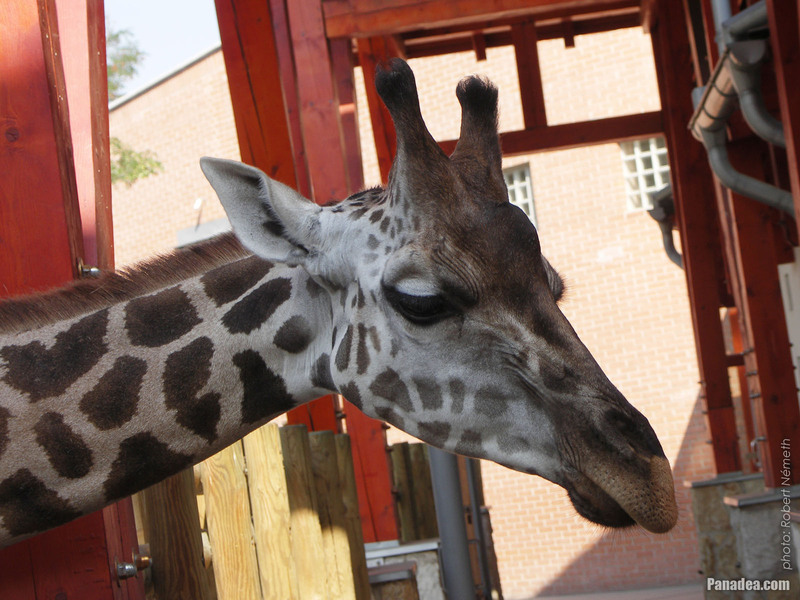 An endangered giraffe subspecies native to Kenya and Uganda.